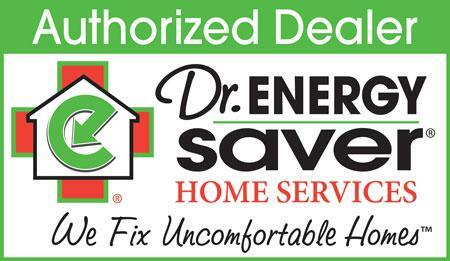 A homeowner in Bayfield, WI contacted DBS regarding an insulation issue. The basement of their home was unfinished, and the fiberglass insulation was not sufficient enough to keep the area warm and energy-saving. In need of a solution, a design specialist went to inspect the property and give a free,no-obligation estimate for the insulation service. It was decided that the rim joist would need spray foam insulation to better seal off any cold,drafty air from entering the basement area. Spray foam is an optimal solution for better home insulation, and will now help this homeowner save energy and stay warm during the frigid winter months. This home sat on top of a crawl space that had been sectioned off by concrete blocks. When we encapsulated this crawl space we knew that the areas with an interior foundation wall would not require additional insulation so we were able to seal our CleanSpace matting directly to the interior foundation wall. The matting we used gives the crawl space a very clean look while creating an environment that is no longer musty. This customer was losing heat through their basement walls, in addition, they were unknowingly allowing cold air to enter their home. With these bare basement walls and uninsulated rim joists, this basement was a leading cause of inefficiency in the home. These issues were fixed by spraying a layer of spray foam around the perimeter of the basement including the tight and hard to reach spaces like the rim joists. The basement now adds energy efficiency to the home and provides a nice clean look that the walls had previously been lacking. If this homeowner were to finish this basement we let them know that we also offer complete basement finishing services. A homeowner in Duluth, MN reached out to DBS regarding an upgrade for their home insulation, particularly in a knee wall section. Previously, the area was insulated with standard fiberglass wool insulation, which was causing some issues for the home in regards to saving energy. Fortunately, DBS was able to send out a crew to install SilverGlo™ insulation panels for the knee wall area. These panels act as a radiant barrier for the home, helping to keep it more energy efficient. Photos from the SilverGlo™ installation can be seen here. Duluth, MN attic air sealed and insulated. This Duluth, MN homeowner had noticed his heating bills rising over time. This winter he decided to give DBS a call and find out where he was losing all his heat. Design Specialist, Steve Stern, visited this homeowner and provided him with a thorough inspection of his home. Upon inspection, Steve found a few areas where the home was losing heat. One of the main areas that needed to be addressed was the attic insulation, as it was old and lacking the proper depth to achieve the desired R-value. Steve proposed that DBS air-seal problem areas and fill the attic with some blown in insulation that met the proper R-value standards.